However, there’s something of a hangover from The City that lingers in Kraken, Miéville’s subsequent novel, like one rum too many. Kraken sets out as another fusion of genres – horror, fantasy and comedy – and plonks the lot in the middle of London (of which Miéville is clearly very fond). Billy Harrow is a botanist at the National History Museum and serves as our protagonist and veritable Alice in Wonderland. He tumbles down the rabbit hole when he discovers that the dead giant squid he and his team curated has gone impossibly missing. London’s arcane underworld are hunting for it, and most eyes turn to our dear befuddled Billy. There are Kraken cults and cockney sorcerers out to get him, a dubious police force of the occult meddling at every turn and a pair of hitmen, who have terrorised London’s pagan underclasses for centuries, hell-bent on bringing Billy to their client, a giant talking tattoo face etched into the back of a Camden rocker – Paul. It was initially very reminiscent of Ray Bradbury’s Something Wicked This Way Comes, in terms of sideshow freaks frightening ordinary folk. Unfortunately, the resemblance was fleeting. It quickly becomes apparent there’s an awful lot to take in – too much in fact. There’s some kind of union of sorcerers’ familiars (creatures, spirits and elemental sprites) going on strike, led by the soul of a unionist who escaped from Hell and manifests in the bodies of statues and figurines. There are leaf-blower-wielding “monsterherds” creating enormous beasts out of autumn leaves. There’s an invisible pig spirit, a talking ocean, mutating squid-people, and thugs with massive fists for heads. There’s even a Fribble. Where The City had one idea, extrapolated with logic and excellence, Kraken has hundreds of ideas, all crammed in and screaming for attention. And out of that cacophony comes our wayward hero, Billy. But like many of these Dorothy-in-Oz characters – that is to say the straight person marvelling at the impossible, for the sake of juxtaposition – there’s not an awful lot to him. He tries to battle these unfathomable forces, to be fair, but for the most part, nothing he does has any effect. Yes, he has agency – stay alive, save the world – but it’s not terribly complex, and he’s generally led by the hand by a number of allies, both ethereal and otherwise. It’s hard to root for someone who doesn’t make any decisions. Meanwhile, in all this chaos of the supernatural, there’s one character who has lost his faith. He cites all the evidence of evolution as having destroyed creationism, and yet in his world, evidence abounds of sprites, ghosts, angels and gods, all punching each other repeatedly in the face. In front of him! I suppose it’s not faith if you can see gods and angels kicking each other’s teeth in. To paraphrase, nothing makes sense. That’s not to say it’s bad. The writing is accomplished, the dialogue natural and flowing, the descriptions of London astute and passionate, and the scenes often enthralling or funny; but the characters are shallow, the story flawed and the ideas overwhelming in their quantity. 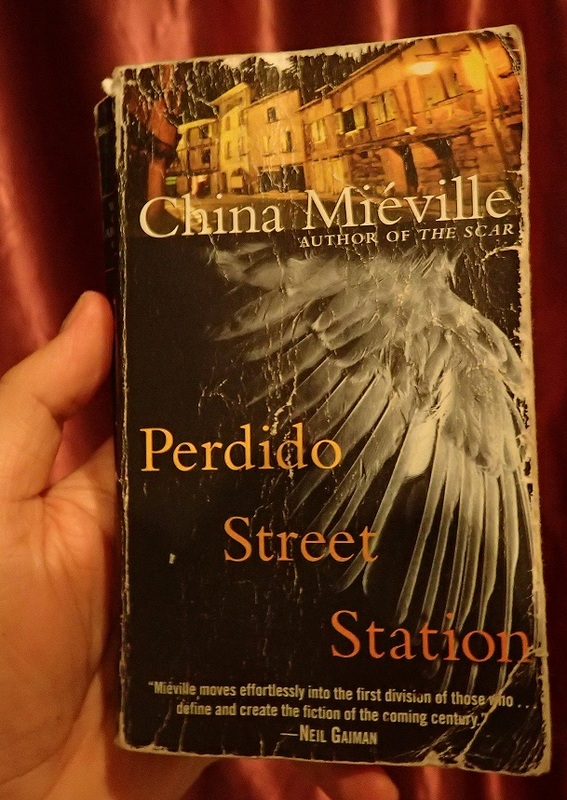 However, as luck would have it, I found a copy of Miéville’s Perdido Street Station in the first book exchange we came across (BT Mansion in Koh Samui). I’m hoping this will return me to the realm of fandom. try wool by hugh howey….